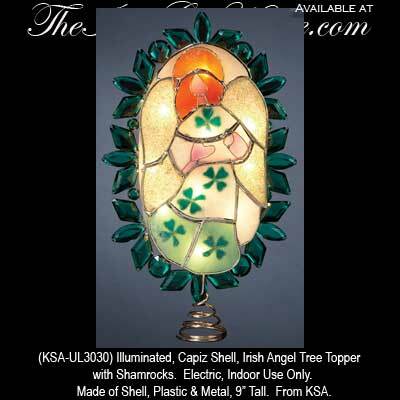 The Irish angel tree topper with shamrocks features an illuminated capiz shell design and stands 9" tall. This Irish Christmas tree topper is for indoor use only and is gift boxed with the shamrock history. From Kurt S. Adler.